A lovely quick read which I enjoyed. Guitar girl follows 17 year old Molly who, shortly after setting up a band with her friend, is discovered and catapulted into the limelight. 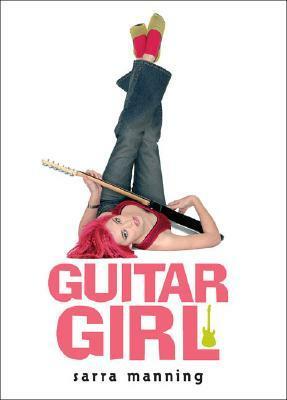 The story follows her journey from ordinary teenager to music superstar and gives fab insight into all the highs and lows of being in such a position. Molly is a fab heroine of the piece. She's a real teenager complete with all the moodiness and the impulsiveness. I loved seeing how she had to cope with all the attention her new found fame got her and I loved her attitude and more importantly I loved her crazy red hair. I actually really wanted her band to be real. I mean who doesn't want to hear pop songs about hello kitty? As I said quite a quick read which meant for me at times I didn't feel like the story didn't develop itself as much as it could have and I would have liked more because by the end I thought it was over pretty quickly .... But then again is that a comment on how fickle fame can be?